Well as regular readers will know we have been giving the patio outside the house a make over this year. This has included the new fences, patio slabs and the small pond we have featured previously. The final part of the jigsaw I have put off until now which is the patio furniture. I had been busy on the allotment, and then a holiday away had meant I just didn't get round to choosing what we wanted. Plus I had not really made my mind up on what to go for. I think I have finally made my mind up, following a couple of hours going through gardening magazines and searching on line. I must have looked at literally hundreds of different styles and colours, from the very modern and brightly coloured to much more traditional and even quite retro or old fashioned. Metal garden furniture often has quite a bistro feel, with a number of styles, there is the fairly traditional, almost Victorian, style, through to modern bistro sets which sometimes have wooden seats as well as metal framed. 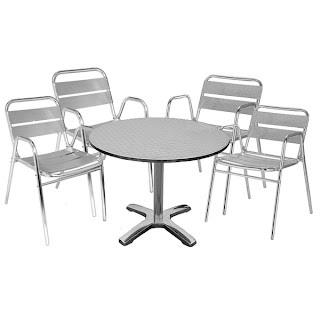 Then of course there is the very modern metal ones, although these often have a price tag to match the great style. Too old fashioned for me, but a great style for a Victorian theme. 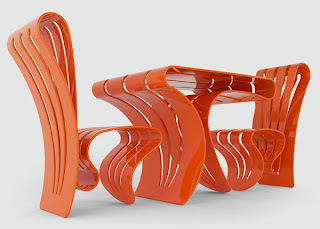 I do like this style, but always find i get hot or cold legs when you sit on the metal seat. 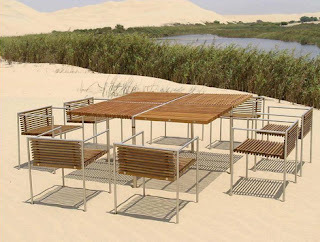 You can get this style with wooden seats which I prefer. 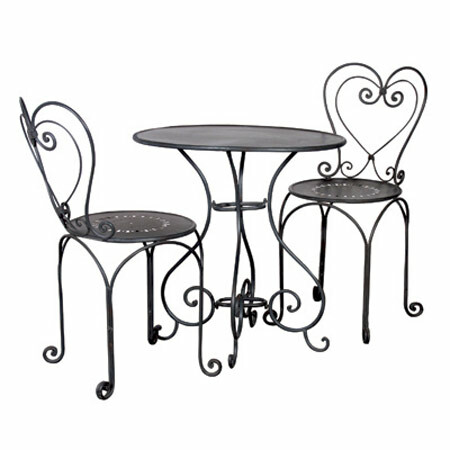 Quite a modern take on the bistro set, metal and wood. very summery! 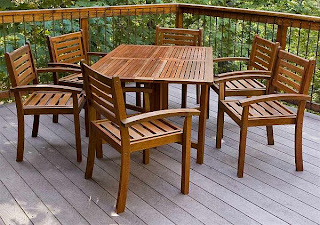 Most Rattan garden furniture is not actually made from Rattan any more. Rattan is a natural product from a type of palm grown in the topics. It is reasonably long lasting, but would not take well to continuous exposure to the British climate. 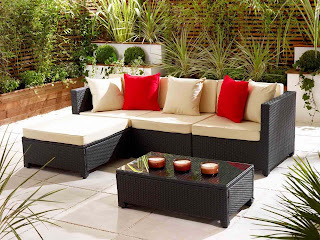 Instead Rattan style garden furniture is usually made in the same style from a plastic based alternative. This wont get affected the same way as a natural product would in the rain and winter period. I love the Rattan style, there can be quite a lot of variety from quite traditional Victorian conservatory furniture styles to very contemporary and modern looks. Hard wood furniture has had a big rise in popularity in recent years as people moved away from the plastic sets of the 80s and 90s. 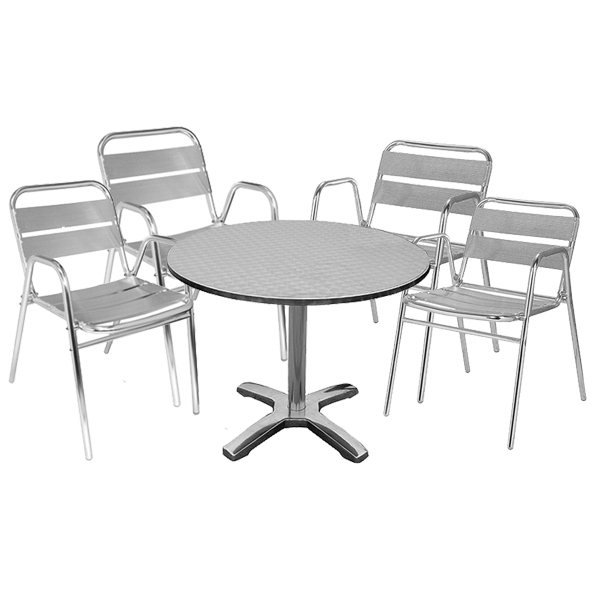 There is a huge range of styles, designs and prices to meet most peoples budgets. 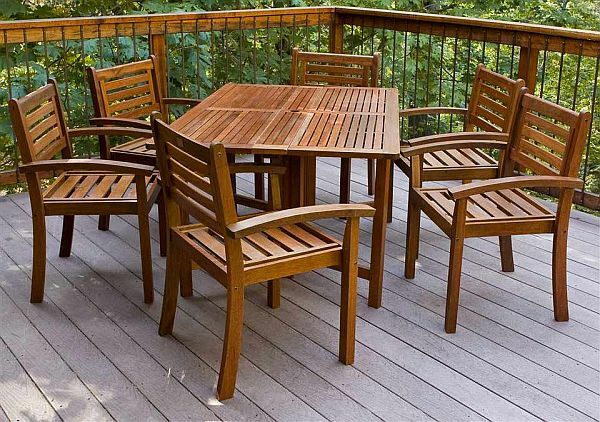 Wooden furniture should be regularly treated, either with a specialist wood oil or varnish from time to time to keep it at its best. 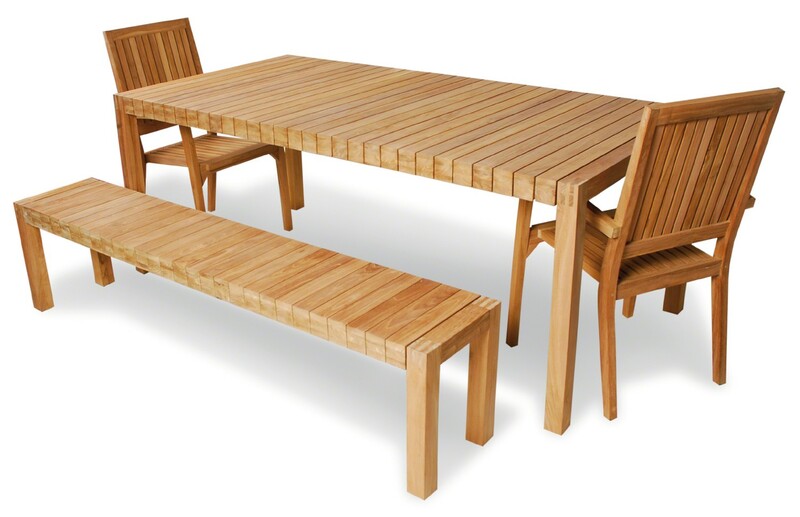 Very stylish, this teak set looks amazing, although the price matches fantastic looks. 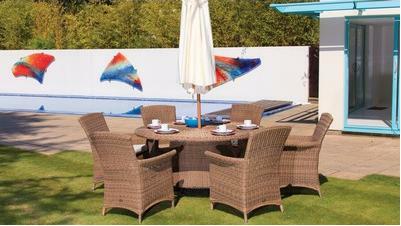 Fairly traditional and typical wooden patio set, you can get similar in most garden centres. Plastic furniture doesn't have to be the uninspiring cheap white chairs and tables from the past there are so many funky colours and styles available. Simple and inexpensive but not for me! With so many styles and shops to choose from it can be quite overwhelming when making a choice, after all you will have your furniture for a good number of years to come so you dont want to get it wrong. 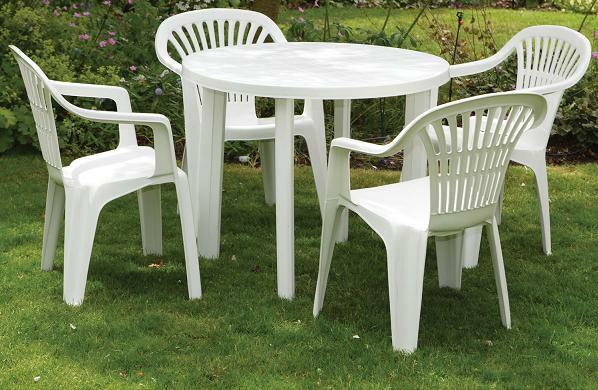 I spent a lot of time looking online for what to choose, click here if you want to have a look at more garden furniture choices. I won't reveal which one I opted for but will share photos of the completed patio in a few weeks time!